Sounds a little weird to say that! But the weather has definitely been feeling like Fall! Some quick notes to get the week and month started! 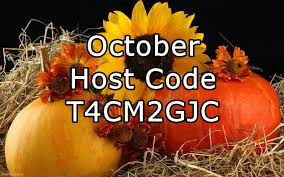 First, the October Host Code. 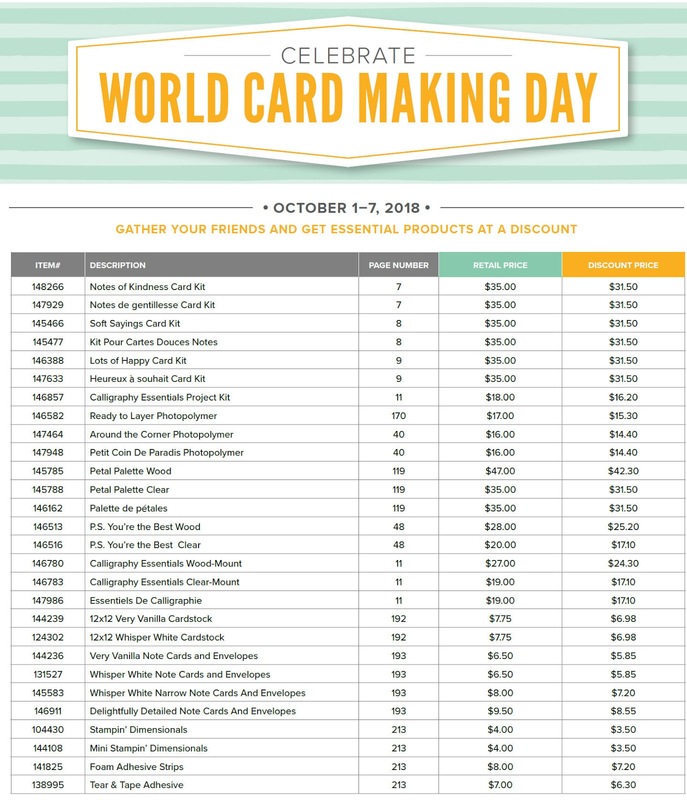 Use it when you Shop My Online Store and your order is under $150. Your order ships right away, but the system ties them all together. If we reach $150, I'll draw for a winner of the FREE Merchandise!! Drawing on the 25th. 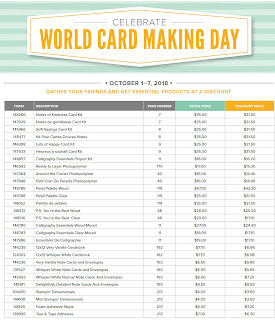 Second, The World Card Making Day Specials start today and go through October 7, Saturday. Some great items there!! and 10% off!! Third, the Stamparatus Accessories are available today as well! Small Grid paper, Extra Plates, A Foam mat for Photopolymer and Magnets!! The Holiday Catalog is also Live!! Time to think about the Holidays!! Make sure you stop by my Facebook Page to see what I'm up to. Still working my way through the stamp room (it may never end!) and trying to get back to creating along the way!! Shop My Online Store HERE! !